If you have paid attention to my Instagram feed lately, you probably noticed that I’ve been posting a lot of Antwerp images this week. The Belgian city that is located merely 40 minutes from my hometown in the Netherlands. 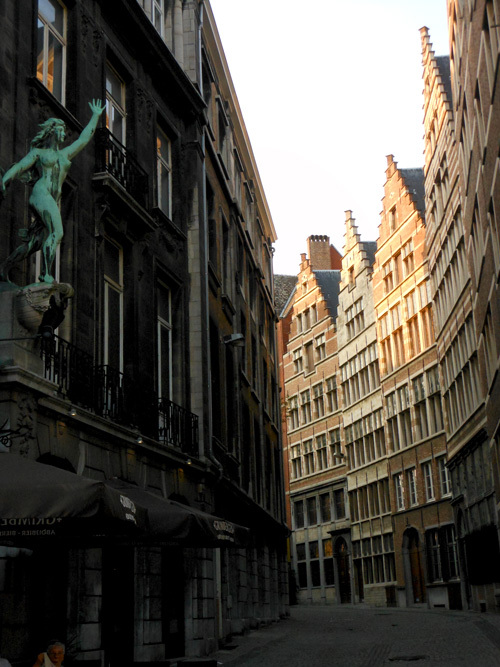 While many of you know Brussels and Bruges from their Europe trips, I think it’s a real shame that many people skip the city of Antwerp. Of course there is the yearly Christmas Market and the Antwerp Zoo, but the city has so much more on offer. Need some suggestions to get you started? Well, let’s go then! 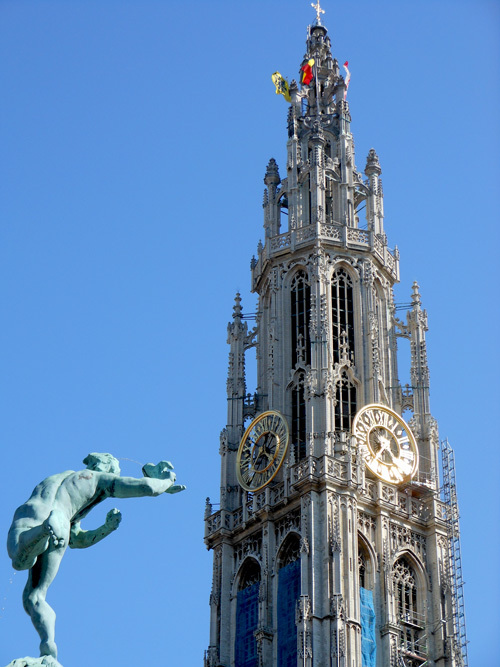 Real eye-catching are the two main squares in Antwerp: Grote Markt and the Groenplaats. 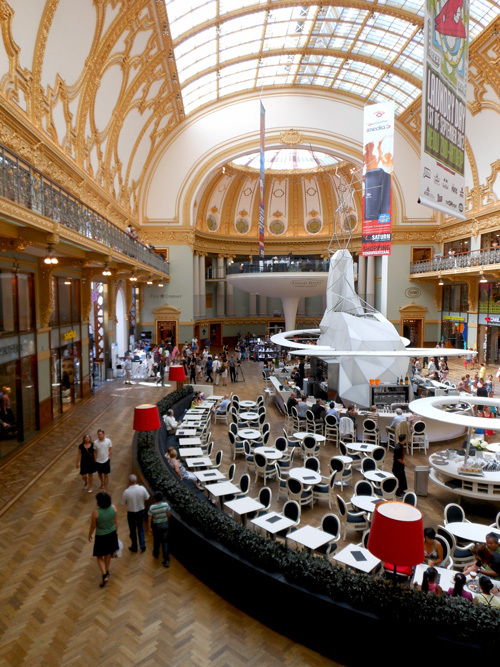 Here you can find the impressive Cathedral of Our Lady, City Hall, Guild Houses and ample of cafes and restaurants. This is the heart of the city, and always busy and bustling. 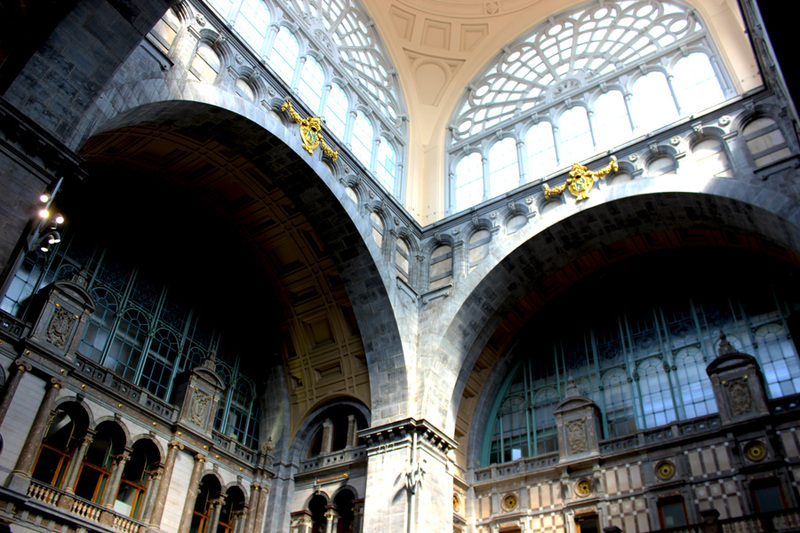 In 2014, Mashable awarded Antwerpen-Centraal the most beautiful railway station in the world. 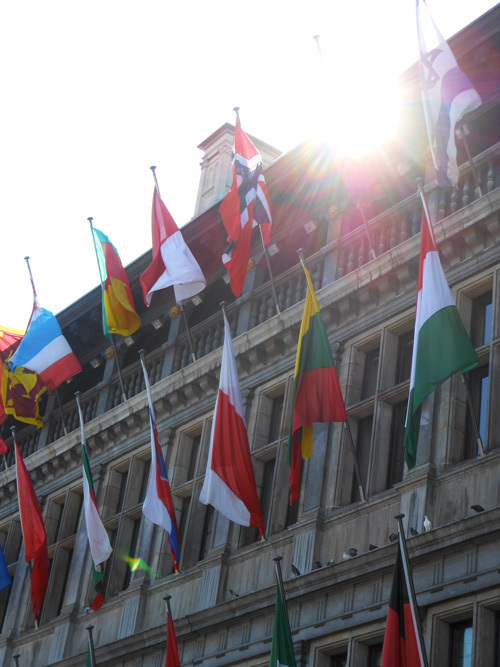 Its late 1800 architecture is a real treat, drawing people from all over the globe. In need of some retail-therapy? Then Antwerp is the right place to be. From the high street shops on Meir to exclusive and vintage shops in Fashion District, Theatre District, Wilde Zee and South District – it’s all there. Getting lost in these latter areas is a hobby of mine, as I always tend to find a new shopping gems. Personally I rather avoid Meir, due to the fact that the amount of people present is usually a bit Oxford-Street-like. However, I rarely skip a visit to Stadsfeestzaal: the neoclassical building on Meir that now houses over 40 shops. More a market stroller? 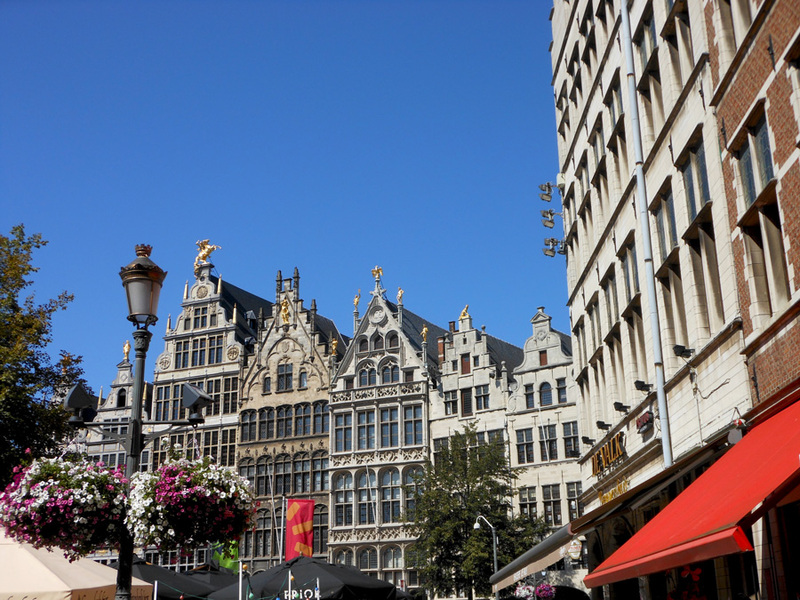 The most famous one in Antwerp is the Vogelenmarkt on Theatre Square. Salesmen used to sell mostly animals here (my mum got a puppy dog from here when she was a kid! 🙂 ), but with animal rights having a more prominent place in modern society, most animals are now gone. Today, the market is more of a generic one where items such as clothing, household goods and accessories are being sold. More in for some bling bling? Then head over to Diamond Quarter: world’s largest diamond district. 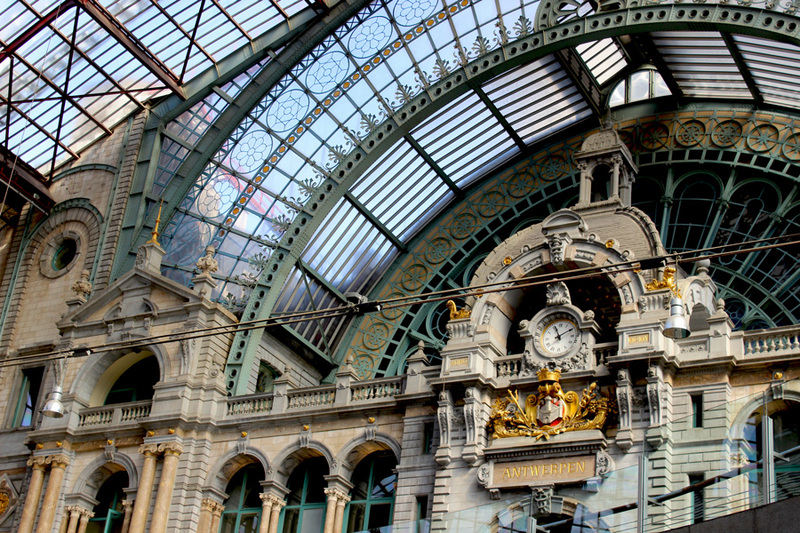 There’s a lot to see in Antwerp when it comes to architecture. Personally I’m an absolute fan of the 15th and 16th styles. Thanks Antwerp. You were fab as always! Will be back soon! Okay, maybe not ‘city of chocolate’ as such, but definitely part of the ‘country of chocolate.’ That the Belgians are proud of their delicious delicacy may be clear when visiting The Chocolate Line on the Meir. 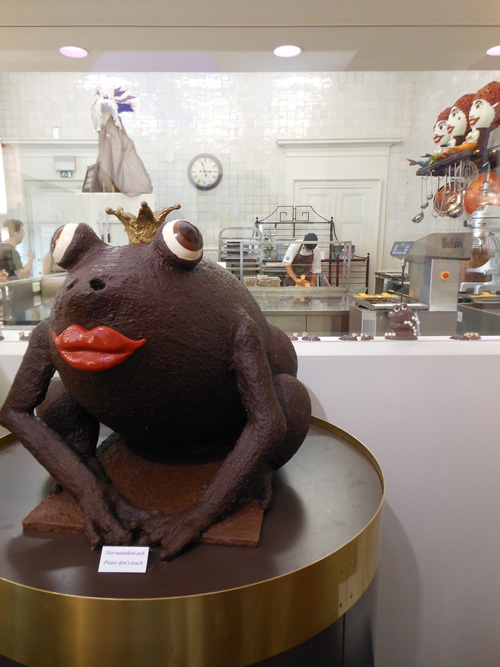 This store has the best ‘pralines’ in town and there’s even some chocolate art on display. You know I’m a big fan of hidden gems, and I keep discovering more and more of them in Antwerp. From amazing (free!) city views from the rooftop of MAS (Museum Aan de Stroom), to converted buildings like Felix Pakhuis (Felix Warehouse). From the rooftop of MAS, you can enjoy a stunning view over Antwerp. The best bit: it’s free to visit! I’m personally a huge fan of industrial spaces that have been re-developed to something new. Felix Pakhuis (‘Felix Warehouse’) reminded me of areas near where I work like #ShadThames (behind Tower Bridge), where warehouses have found a new purpose too. Felix Pakhuis houses a restaurant, event spaces and a food market. 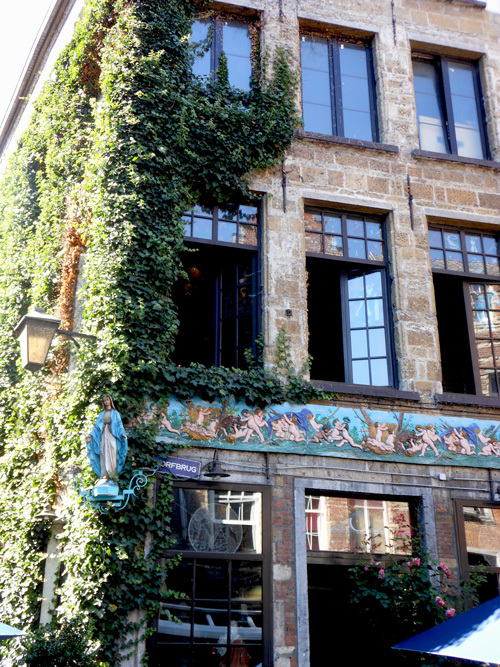 Or what about the cafe that is filled to the brim with religious statues: ‘t Elfde Gebod (The Eleventh Commendment)? And for some peace and quiet I love to hang out at the Antwerp beguinage, with its lovely secret garden and beautiful houses. The beguinage in the heart of Antwerp is an oasis of peace and quietness. The last beguine who lived here however, past away in 1986. The beguinage nowadays has a residential function. And finally, I love to have a cuppa at the amazing restaurant of Bourla Theatre. Just look at that dome ceiling! My favourite spot for tea in Antwerp is in Foyer of the historic Bourlaschouwburg or Toneelhuis. I was told that the actual auditorium looks just as amazing as the theatre’s Foyer, so I guess it will be a Belgian production I’m going to see next!